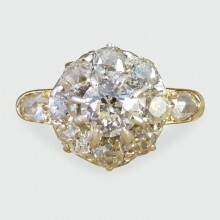 This absolutely stunning cluster ring has been created with a Diamond in the centre weighing 1.01ct .. 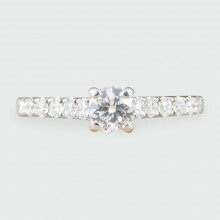 The perfect engagement ring has a lustrous sparkle. 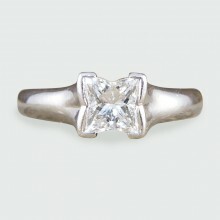 A beautiful clear and bright Princess Cut Diamon.. 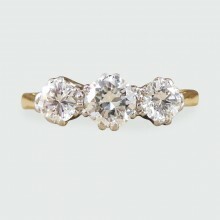 Such a pretty and elegant little ring set with Diamonds weighing a total of 0.50ct. This ring can be.. 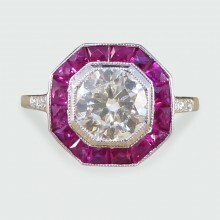 This ring hosts a Old European Cut Diamond in the centre weighing 0.85ct with a surround of Cushion .. 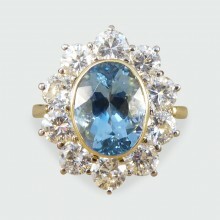 Such a beautifully coloured Topaz gemstone featuring in the centre of this ring with a surround of 1.. 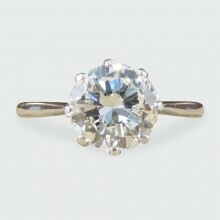 This beautifully sparkly engagement ring holds a Round Brilliant Cut Diamond weighing 1.14ct and is .. 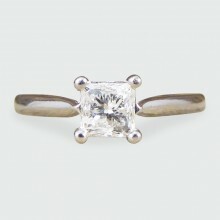 This beautifully sparkly engagement ring hold an Old Cut Diamond weighing 1.40ct and is set in an Pl.. 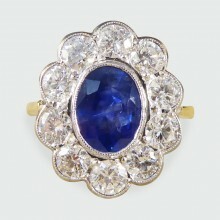 This gorgeous ring holds a beautiful blue Sapphire weighing1.35ct surrounded by 1.50ct of brilliant .. 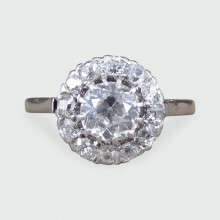 The three beautifully sparkly Round cut Diamonds are set in an 18ct white Gold and Platinum eight cl.. 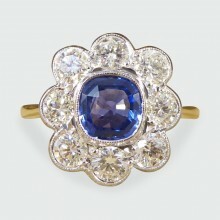 This gorgeous Sapphire and Diamond cluster ring has been crafted from 18ct White and Yellow Gold, wi.. 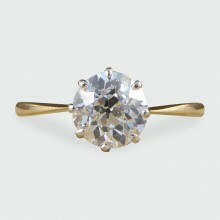 Looking for a classic ring that dazzles and can be worn daily? 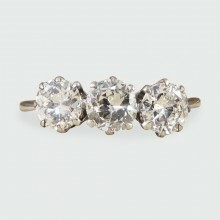 This 1930's three stone Diamond ring .. 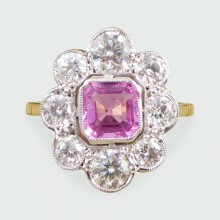 Such a beautiful Contemporary ring with a Pink Sapphire in the centre weighing 0.95ct. Accompanying .. 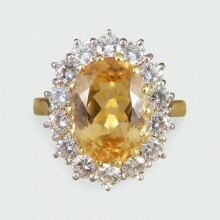 This stunning antique ring has been hand crafted in 18ct Yellow Gold in the Edwardian era, highlight.. This absolutely stunning Boodles engagement ring holds a 0.70ct modified princess cut Diamond, such .. 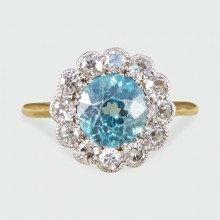 This beautiful Contemporary Aquamarine and Diamond ring would make the perfect engagement or stateme..